One of the most important aspects of modern keyword research that I teach in Niche Blogger Content Blueprint is the use of long tail keyword phrases to both attract traffic (SEO) and determine market trends. The hands-down best description of the long tail philosophy can be found in the Harvard Business Review article "Should You Invest in the Long Tail? ", from 2008, written by Anita Elberse. In the article, whose conclusions I don't necessarily agree with, there is an excellent discussion of Chris Anderson's 2006 theories presented in his book "The Long Tail: Why the Future of Business is Selling Less of More". The thrust of Anderson's argument is that, from a 2006 perspective, the long tail will get both longer and fatter. In other words, there will be a higher volume of long tail keyword phrases, and they will attract more visitors. Elberse disagrees, stating that her data show that, at least in the DVD and music industry that she looked at, the long tail is getting longer and flatter: "Thus the tail represents a rapidly increasing number of titles that sell very rarely or never." My take is that while she may be correct (at least in 2008, in one industry) as regards sales, when it comes to SEO, it really doesn't matter if the tail is flatter or fatter. "Therefore we argue that the long tail contains valuable information and is a rich source for the diversification of web search engine result lists." The paper points out that even if the tail is getting longer, the results are still vital to the search engine user, and therefore, by extension, I would argue important for the keyword researcher. 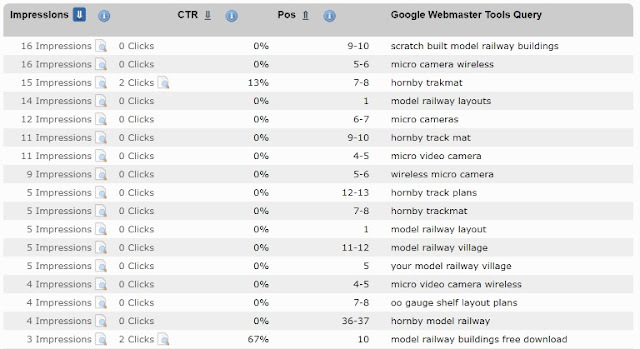 While I don't have a million clients (yet), I can provide one example from a model rail site in the UK, whom I encouraged to examine their own long tail through the lens provided by the combination of StatCounter and Google's Search Console (formerly Webmaster Tools). Essentially, long tail keywords are just the phrases that attract fewer clicks but which represent much more precise search queries and hence a higher chance of action than shorter, more vague keyword phrases. Looking through the list, several things are apparent. The first is that a lot of the phrases (ordered by Search Engine Impressions) are long-tail in nature. For example, "hornby trakmat" while a short phrase, is effectively long tail due to it's incredibly niche nature. 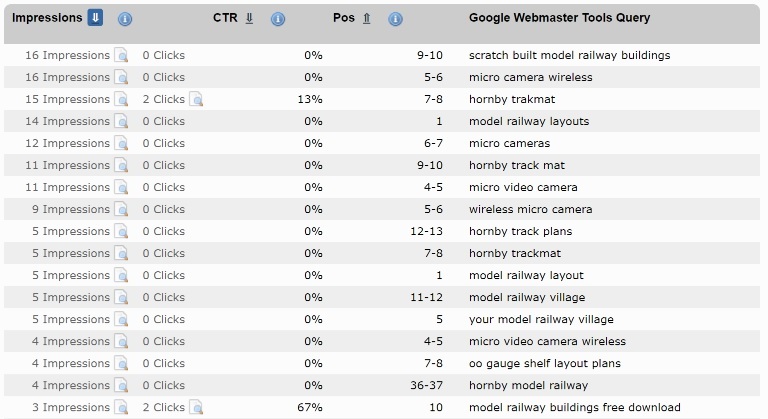 What we can also say is that the site does a better than average job (on this evidence alone) of attracting visitors interested in "model railway buildings free download", a worse than average job regarding "hornby trakmat" and is relatively poor at converting impressions into clicks across the board. Questions that need to be answered include why 67% of visitors get converted for "model railway buildings free download" while 0% are converted for the phrase "scratch built model railway buildings" which are ostensibly covering similar topics. According to the application of my favourite PDCA (Plan Do Check Act) process improvement theory, we now have all we need to take action! How to Use Long Tail Keywords in SEO? We want more traffic. 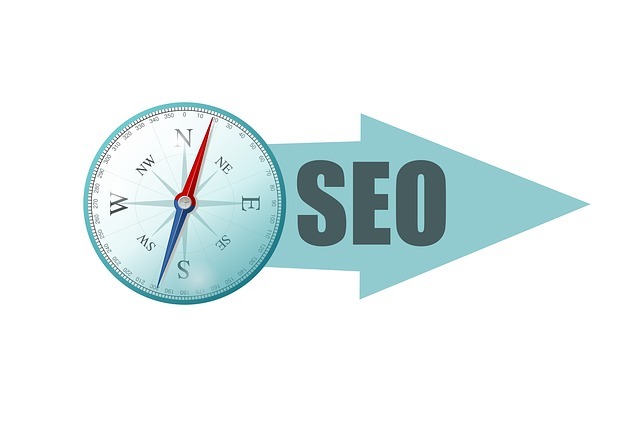 That's what SEO is all about. Forget for a moment that I usually preach getting the right traffic (as readers of "Niche Blogger Content Blueprint" will know) and concentrate on what you would do to just get more traffic. My first piece of advice, in this case, was to tackle the top of the list: "scratch built model railway buildings". The site had no page for this, so I had them put one up, linked to an already working long tail keyword phrase for which content was available: "model railway buildings free download". To decide on what content should go into the page, I used keyword research to uncover, rank, and target the top questions asked on Google relating to the primary keyword phrases and, importantly, sub-phrases. Those were: "scratch built", "model railway buildings" and, of course, "scratch built model railway buildings". Finally, with content plans in hand, it was back to the client for the actual word-work, and then back to me for SEO tweaking. Only time will tell if the result is a significant increase in traffic, as it will take a moment for the pages to get picked up by the search engines, but the chances are good that if the Pos improves, then the CTR will follow. If you want a sneak peek into the methods used to evaluate the long tail phrases used to research this piece, then sign up for the free eBook "The Outlier Method"!